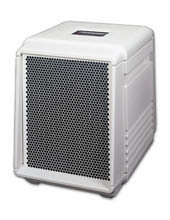 Recent EPA-funded research shows that the Friedrich electronic air cleaner can significantly reduce the amount of airborne particles in room air. Scientists at the University of Colorado conducted the study which focused on air quality standards in areas near wild fires and prescribed burns. Don't settle for less than the Friedrich C-90B when it comes to clean air for you and your family.